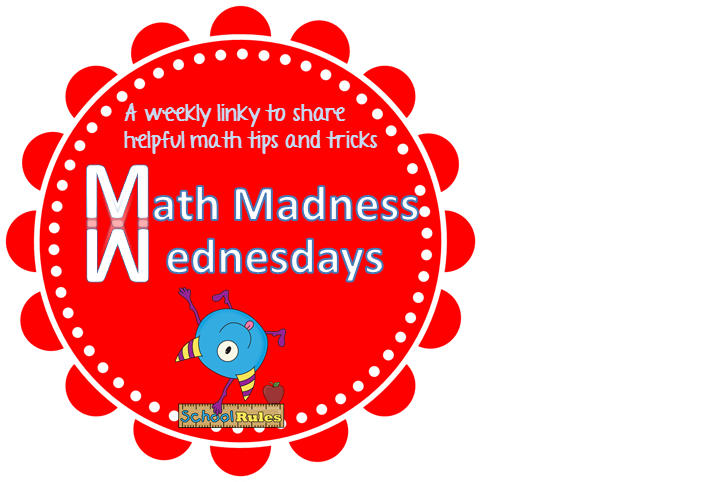 I am linking up with Krista at Teaching Momster for another Math Madness link up! 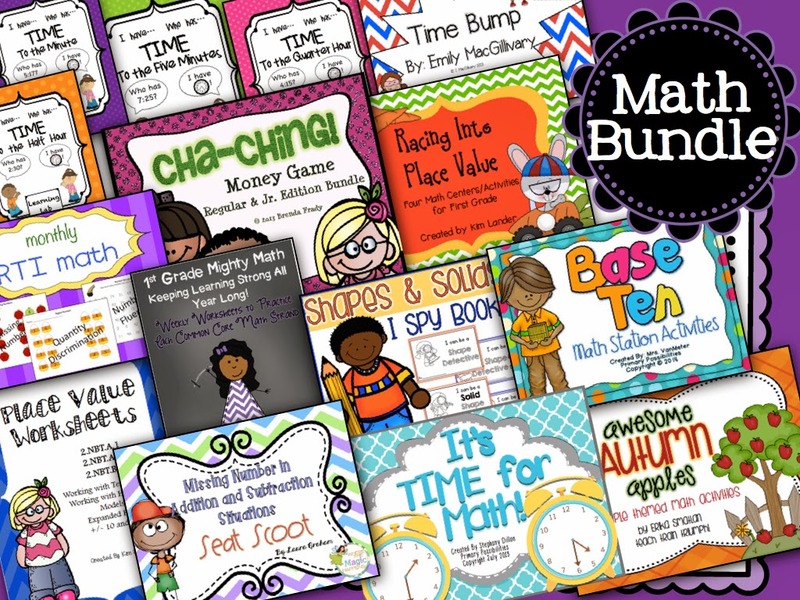 You can find great math teaching ideas by following these posts! 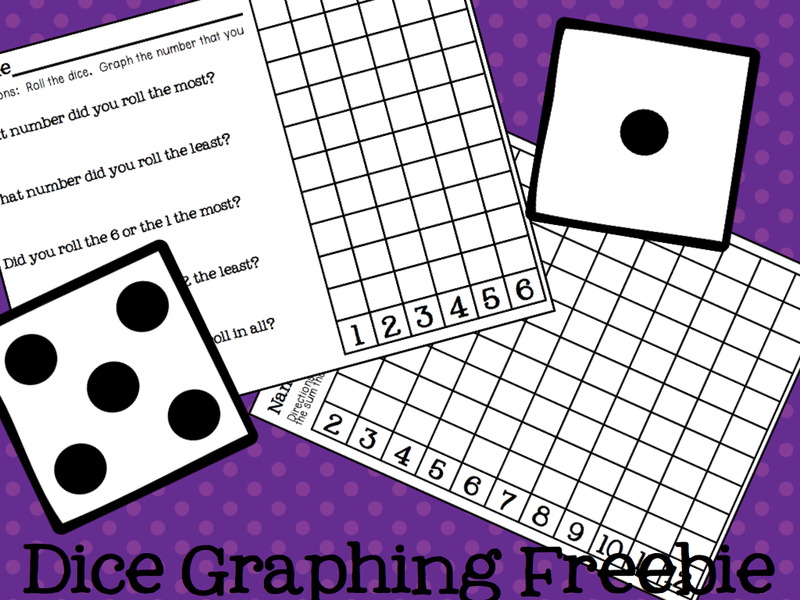 Graphing is another one of my favorite topics to teach in math. You can literally tie graphing into ANY topic that you teach so that when you are ready to actually teach, assess and graph the skill your kiddos are rockstars on the skill! So far this year I think we have graphed (and this doesn't include everything) Jitter Juice, type of apple you liked best, type of apple treat you liked best, favorite Halloween candy, favorite Thanksgiving Day food, and the list goes on... we started graphing the first day and we have pretty much done it the entire year at least once a week. 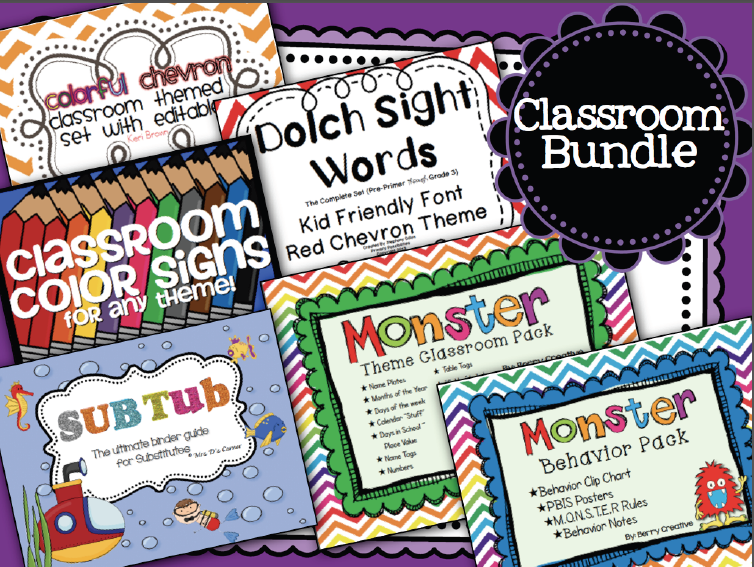 I usually use my large pocket charts or anchor chart paper to make large class graphs which save on paper and copies. I find graphing to be a great way to tie in those topics you want to teach but need to correlate to standards. 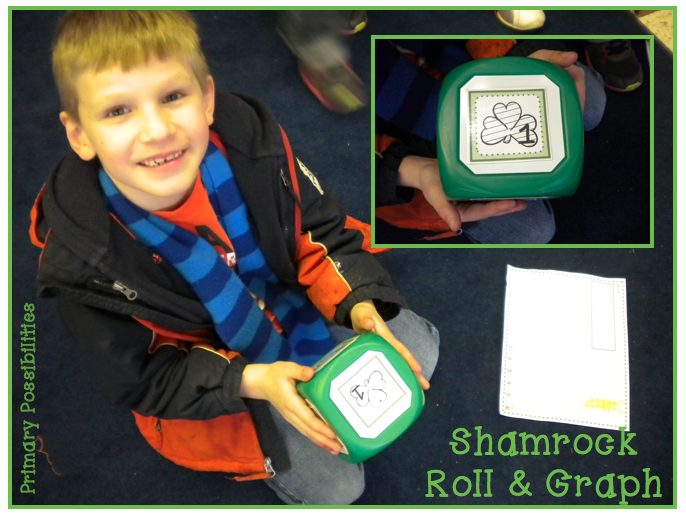 You can use regular dice where students either graph simply the number they roll on one dice or the sum of what they rolled on two dice. ~Graphing Predictions: Students make predictions on a book you are going to read. After you have read the book, answer questions about how many students were right or wrong with their predictions. ~Graphing Attendance: Have a generic question up for the day such as "Which food do you like better?" Students must choose an answer and then place their picture on the graph. You can use this as a discussion during your calendar/morning meeting time and at the same time, you get to see who is in attendance. Have a student reset the pictures at the end of the day so they are ready for the next day! Plus you get to know your students better with each question! ~ Lunch Count: Students place their picture on the lunch count picture of their choice. My blogging partner Stephanie has lunch count pictures that are perfect for this (You can get them by clicking HERE). This is a great way to discuss how many more or less chose a certain food. Don't forget to check out our fundraiser for the March of Dimes! 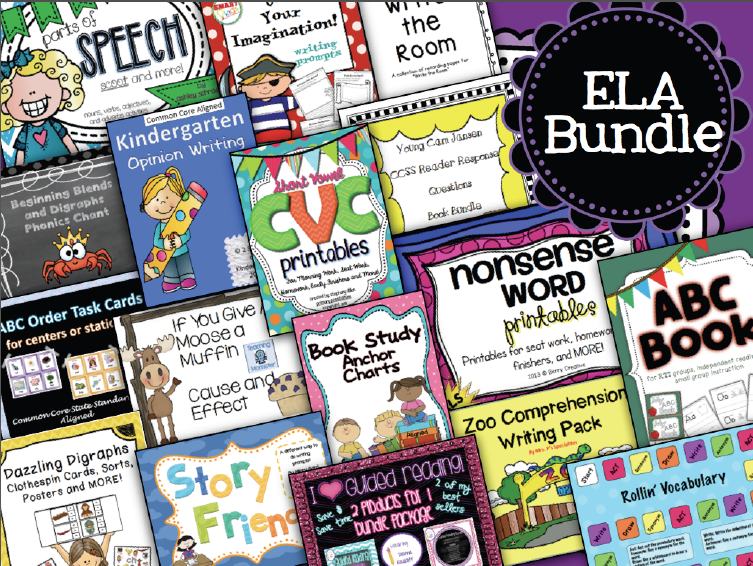 There are some great bundle available! Great ideas, Stephany! I really liked the idea of graphing predictions. So easy and simple since it is something we do anyway, but I had never thought of graphing it. 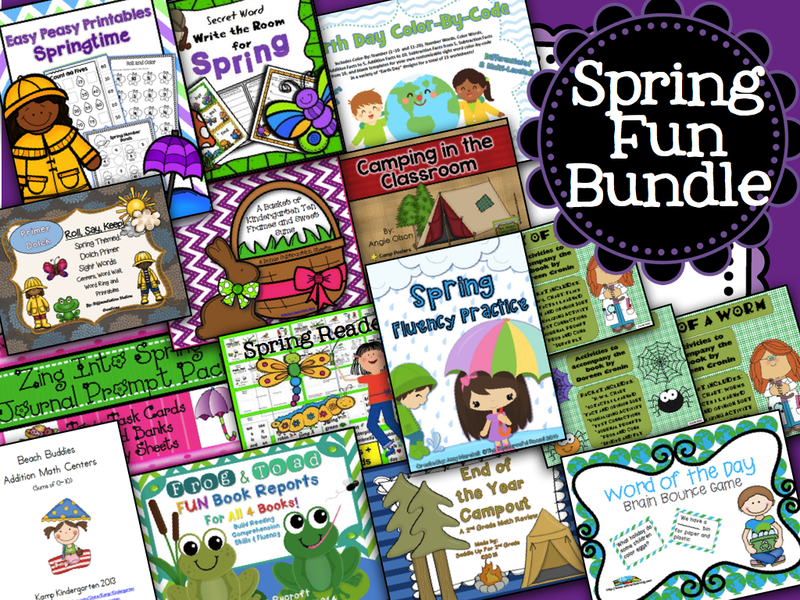 And, I love the freebie! Thanks for linking up!